Gary Bauer, Contributing Author: After a White House meeting that ran nearly two hours longer than planned, President Obama and Israeli Prime Minister Benjamin Netanyahu made joint statements just a few hours ago from the Oval Office. Obama went first, looking uncomfortable and sounding as if he was in "damage control" mode. Prime Minister Netanyahu responded and, quite frankly, looked and sounded presidential. He directly rejected Obama's demands. He reminded Obama that a peace based on an illusion would crash on the rocks of Middle Eastern reality. He directly rejected Obama's call for Israel to return to the 1967 lines. "Israel cannot go back…because the lines are indefensible," Netanyahu said. He told Obama that Israel will not negotiate with a Palestinian government headed by Hamas and reminded Obama that Hamas condemned the killing of Osama bin Laden. On the question of Palestinian refugees, Netanyahu pointedly told Obama that the refugee issue will not be settled within the land of Israel. In other words, Israel will not agree to demographic suicide. "That's not going to happen," he told Obama. In closing, Prime Minister Netanyahu reminded Obama of the history of Israel and the Jewish people. (He was wise to do so since the president's knowledge of history sometimes appears to go no further than the day of his own election.) He told Obama that through all the dark times, including the Holocaust, the Jewish people never lost "our dream" of reestablishing a state in their ancient homeland. He told Obama, "We don't have a margin of error." Translation: You won't push us into concessions with our enemies that could jeopardize our very existence. This was an amazing moment. Of the two men sitting next to each other in the Oval Office today, only one understands the dangerous world we live in, and knows that weakness emboldens evil and makes war and defeat more likely. That man is not the president of the United States. The outrage is growing as analysts in Washington, D.C., and Jerusalem continue to pour over every word of Obama's speech on the Middle East. Obama reneged on a key pledge made by the United States to Israel in 2004. As a result, he has undermined the value of our word in international relations with potentially terrible consequences for the future. He has demoralized the Israeli people and emboldened our mutual enemies. In a 2004 letter, President George Bush outlined the U.S. position. Noting that large Israeli communities exist beyond the 1967 boundaries, Bush wrote, "…it is unrealistic to expect that the outcome" of peace talks would be a complete return to previous armistice lines. His letter was an attempt to reassure Israel that we would not pressure it to return to borders that are virtually impossible to defend. One day later the resolution passed the Senate 95-3. One of those 95 "Yes" votes was then-Senator Hillary Clinton. Because of this presidential commitment, then-Israeli Prime Minister Ariel Sharon was willing to take the risk of forcing 9,000 Israelis living in Gaza to leave their homes. Gaza promptly fell under the control of Hamas. Obama's speech essentially ripped up the commitment made by Bush and Congress. It puts in jeopardy over 350,000 Israelis who live in well-established communities on the "wrong" side of the border to which Obama now demands Israel retreat. 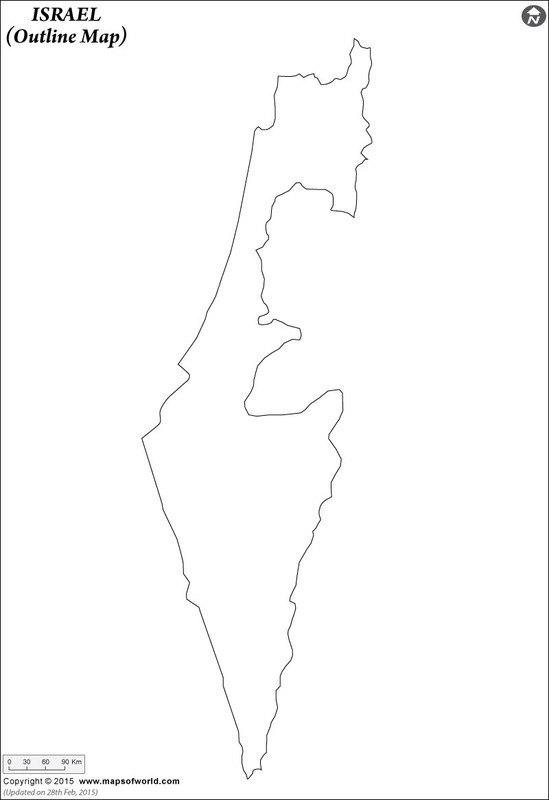 The "Obama border" would shrink Israel to a width of 8 miles in some areas. In Israel such a border is referred to as the "Auschwitz" border because it would increase the chances that the country would be overrun by its enemies, resulting in a second Holocaust. After Prime Minister Benjamin Netanyahu heard the speech yesterday, he was described as livid. He should be. His office issued a statement saying that in his meeting with Obama today, the prime minister expected "to hear a reaffirmation from President Obama of U.S. commitments made to Israel in 2004." But at this point what is a commitment from Obama worth? Next to nothing! Last week thousands of Palestinian extremists threw themselves against the borders of Israel from all sides attempting to drown the tiny nation with a tidal wave of people dedicated to its destruction. Yesterday, Obama joined that mob attempting to erase the legitimate borders of our staunch ally. If Obama succeeds, the most holy sites of Judaism and Christianity would be in the blood-soaked hands of Hamas, Hezbollah and the allies of Syria and Iran. Every pastor and rabbi should speak up and rally their congregations against this betrayal. Congress should immediately reaffirm the 2004 resolutions. Tags: Gary Bauer, Israel, Barack Obama, Prime Minister, Netanyahu To share or post to your site, click on "Post Link". Please mention / link to the ARRA News Service. Thanks!